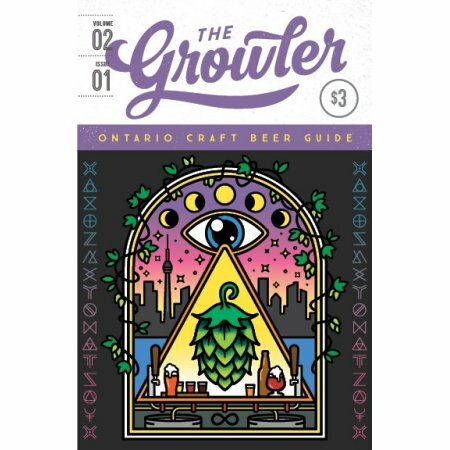 TORONTO, ON – The Spring 2019 issue of the The Growler Ontario, a quarterly guide to the province’s craft brewing scene, is soon to be released. The regions covered started with the Golden Horseshoe in the inaugural Summer 2018 issue, and expanded to include Southwestern Ontario and Eastern Ontario in subsequent issues. With Northern Ontario being added in this edition, it now has listings for the entire province. Also included are a variety of articles and other editorial features, with content details still to be announced. The Growler Ontario Volume 2 Issue 1 will ship soon for subscriptions and online orders, and will be distributed soon afterwards to brewery taprooms and newsstands throughout the province. For more details, see the magazine’s Facebook page and Instagram feed.